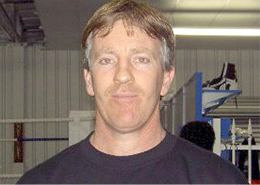 Richard has competed against and trained fellow boxers for over 30 years. He is passionate about the sport due to his decades of experience in coaching athletes, and ranks as one of the new trend of modern boxing coaches who work at the forefront of new techniques and coaching styles. Richard believes that the future of boxing in Western Australia lies in the juniors, and thus is actively leading the way creating those young champions with the introduction of the Australia’s first graded boxing system to help Kids progress.